The Flexi Green 16 Pot is perfect for growers to grow up to 16 small plants close to one another. As the plants get bigger, they form a canopy of flowers and leaf growth. Using all of the room’s available light, the Flexi Green 16 Pot system provides a much higher yield in a shorter span of time than a couple plants in the same space would provide. Since the plants grow closely together, they don’t need to remain in their vegetative state as long, enabling them to use most of their energy for fruiting. The system incorporates a water culture technique that gives your plants the perfect ratio of nutrient solution and oxygen. Oxygen is provided through the air kit directly to the plant’s root system. Perfect for greenhouses that have restricted height issues. 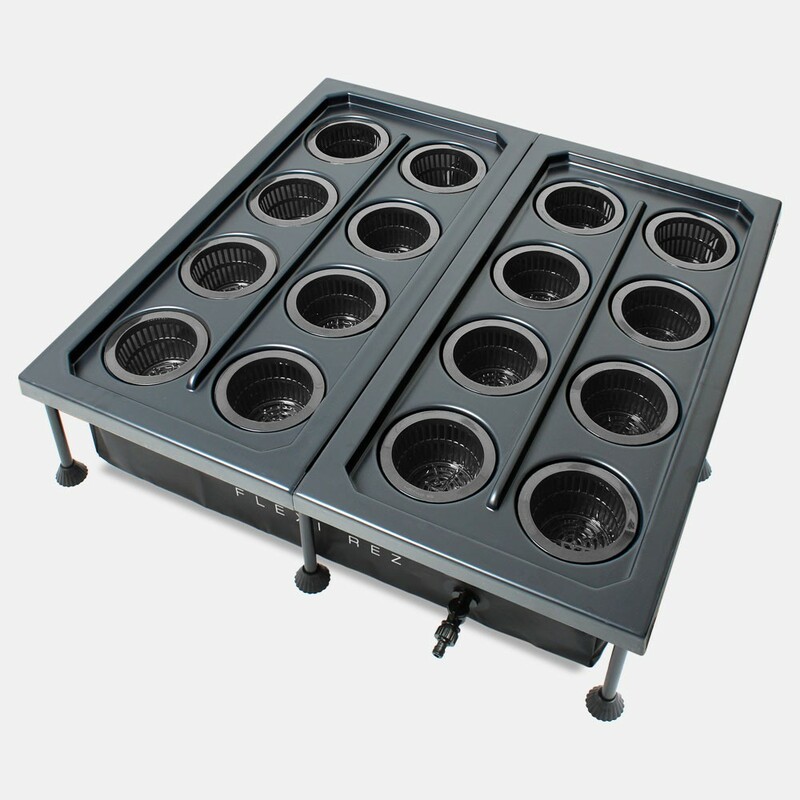 The product like all the Flexi system range, comes completely flat packed and can be assembled in any grow room.